I am patiently waiting for the fall so I can blog about football… Countdowns, watching continuous recaps and highlights! Well my friends keep telling me “You need to watch basketball!” So I have started following basketball a bit more now. Will it be a repeat of last years finals? 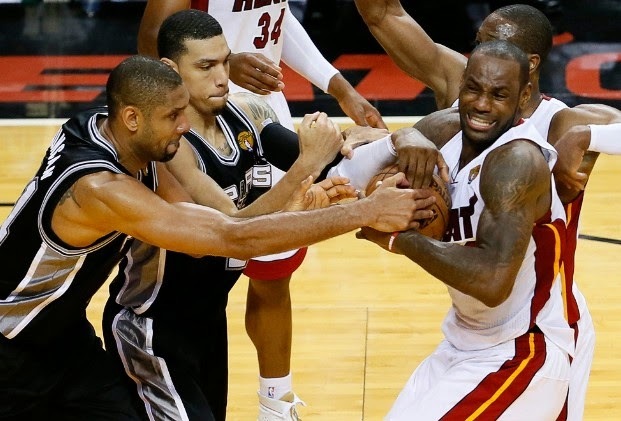 Will the spurs get thrown off by the Heats defense? Will Lebron James remain King of the NBA? All your questions will be answered tonight on ABC and various other channels!